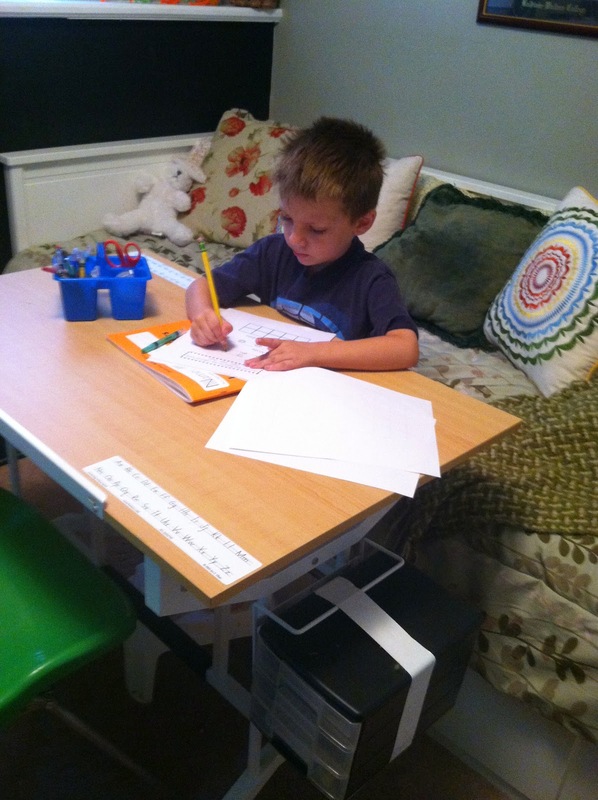 We have two weeks under our belts and we started week three of homeschooling today. You might have noticed that the absence of posts. Never fear, the fun didn't stop! I just wanted to make sure that I put my complete focus on making the easiest transition to our new normal. I am happy to report that it has been a success so far! The first two weeks of school were filled with a so many "firsts" and "news". We did our first lessons online and offline. Made a few mistakes but hopefully learned from them! We met our wonderful kindergarten teacher, Mrs. Clark. We had a blast at the back to school picnic, meeting so many great OHVA families in our area. What a busy first two weeks of school it has been! Over the weekend we finally took a moment to breath and absorb. Now that we got our feet wet with homeschooling, we were able to get back into our family fun groove a bit! We took full advantage of all the weekend had in store for us. Friday night marked Steve's 20th High School Reunion. We had a nice dinner. Then we spent most of the evening reminiscing and trying to forget how old we are actually getting! Saturday morning was a rain out for the start of the kids punt, pass, kick football. But that was okay. We did get to talk to coach Jim and find out what the season will entail. Then a little time on the playground. In the afternoon, Steve continued his reunion activities while the kids and I spent some time at the WECPTA Membership Drive. Shout out to the the great moms and dads of the WECPTA who helped put on a fabulously fun family event!! After a brief break to eat dinner, we headed to Amazone for some fun sliding around. I get tired just looking at the kids. Then we ended the night spending some time with our great friends in Ms. Jen, Mr. Nate and Owen and Amanda. Thanks for inviting us over!! Sunday, after church, was filled with fun in the sun at the beach at Huntington Reservation. Then a little chilling around to gain enough energy to start the week off right! Well there's the recap. Two weeks of homeschooling down. Too many more to count. But that's okay. Life is an adventure and we are enjoying the ride!!! We've gotten back into our homeschool routine finally. I'm taking 12 hours of graduate credit, though, so I'm not sure which of us is working harder at student life. The stuff my kids are doing looks more fun than my own work!